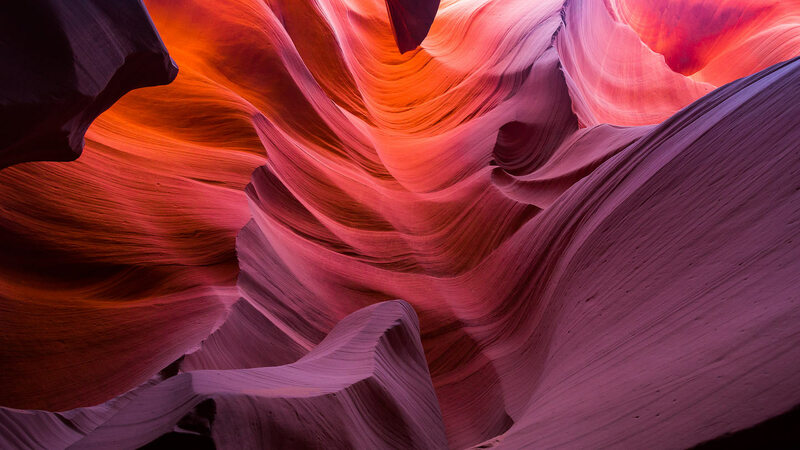 While synthetic insulations have come a long way towards matching the performance of high quality down, they still can’t equal down’s warmth, compressibility and durability. 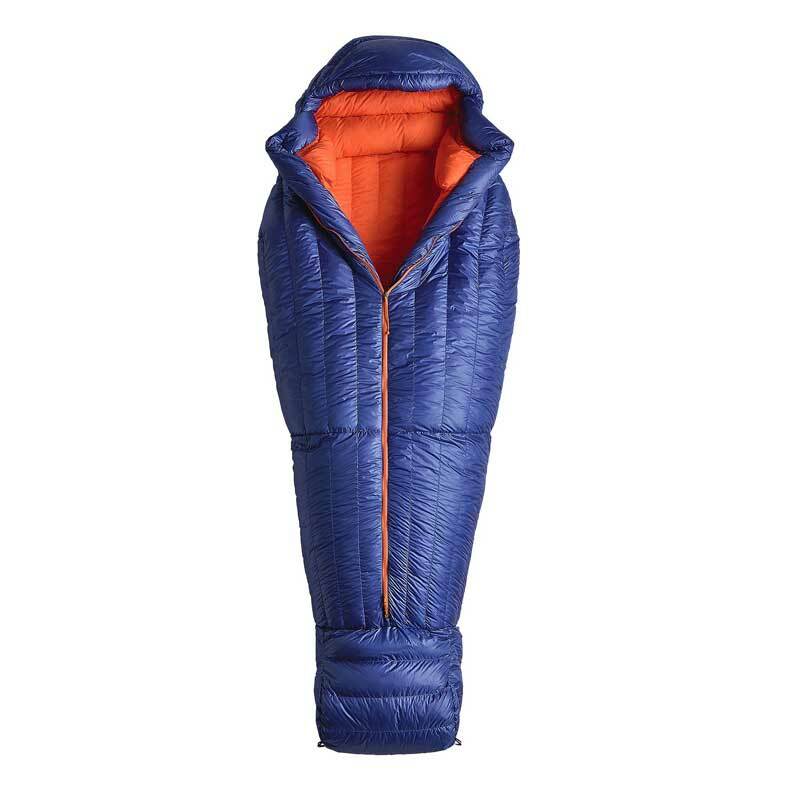 In anything other than extended wet conditions, down is a superior choice for insulated garments or sleeping bags. So when Patagonia announced a new line of high-quality down-filled sleeping bags this spring, I was more than a little excited to see what they would do with this time-tested insulation. 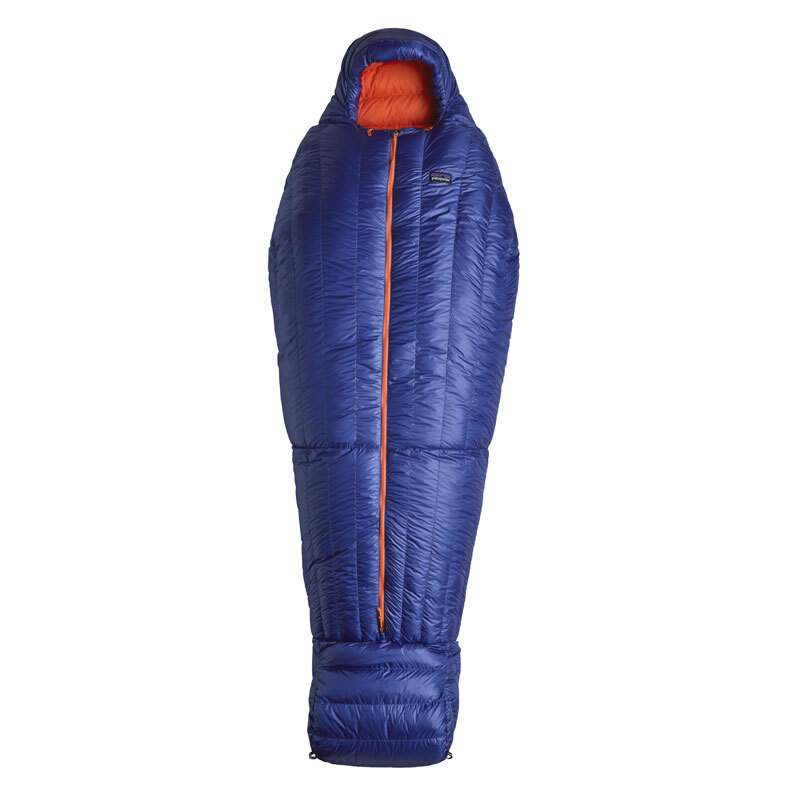 The three sleeping bags (rated from 30°F / -1°C, 19°F / -7°C and a specialized minimalist “elephant’s foot” design) are built with 850-fill-power down and incorporate construction concepts that Yvon Chouinard (Patagonia’s founder) used in the custom-made sleeping bags that he built 45 years ago. I got the -7°C bag (which I feel is the most suitable for my late fall and early spring climbing) and I was immediately surprised with the bag’s lack of weight and bulk. From a more technical specs perspective, the bag weighs in at just 912 g and easily fits into a stuff sack that’s not much larger than a loaf of bread (yes, I realize that a loaf of bread is not a technical volume spec, but it’s easier to visualize than some cubic cm dimension). That’s pretty impressive for a bag rated to -7°C. How Patagonia achieves this low weight and bulk is easily understood when you consider the bag’s insulation and materials. As I mentioned earlier, down insulation is not only supremely light but also highly compressible, and the 850-fill-power down used in this bag pushes the envelope for both of these qualities. Some might wonder why Patagonia did not choose to use an ever higher lofting down, which would further reduce weight and bulk. I suspect they based their decision on three reasons: it’s hard to source sufficient quantities of higher fill-power down, it’s tremendously more expensive and much of the performance of the higher fill-power down is lost in real-world applications. Sure 900-fill-power (or more) down looks great in a laboratory setting with controlled humidity, but its advantages seem to disappear when taken outside. In this respect, Patagonia should be commended for opting out of the fill-power numbers-race. Patagonia also deserves praise fo its decision to use Traceable Down which comes from birds that are not force-fed or live-plucked. Down is a sustainable natural insulation and there is no need for the brutal tactics that some factories have used to harvest it. It’s good to see Patagonia pushing for transparency and standards that encourage the humane treatment of these birds. On the textile front, Patagonia has chosen a lightweight and super-supple Pertex Quantum nylon ripstop fabric for the outer shell that has a DWR (durable water repellent) finish. The liner fabric is a slightly textured ripstop nylon that minimizes the clammy feeling sometimes experienced with slicker fabrics. The combination creates a bag that easily drapes over the body, trapping body heat and avoiding cold gaps. The highly sculpted hood and foot box further improve the bag’s efficiency. While all these technical specs are interesting, the most innovative feature has to be the main three-slider zipper, which is mounted on the top of the bag rather than the more conventional side location. This seemingly simple design creates a number of compelling benefits for both hard-core climbers and less-extreme outdoor enthusiasts. From a climber’s perspective, the three-slider zipper allows you to stay tied-in snug to an anchor when bivying without keeping the zipper open. 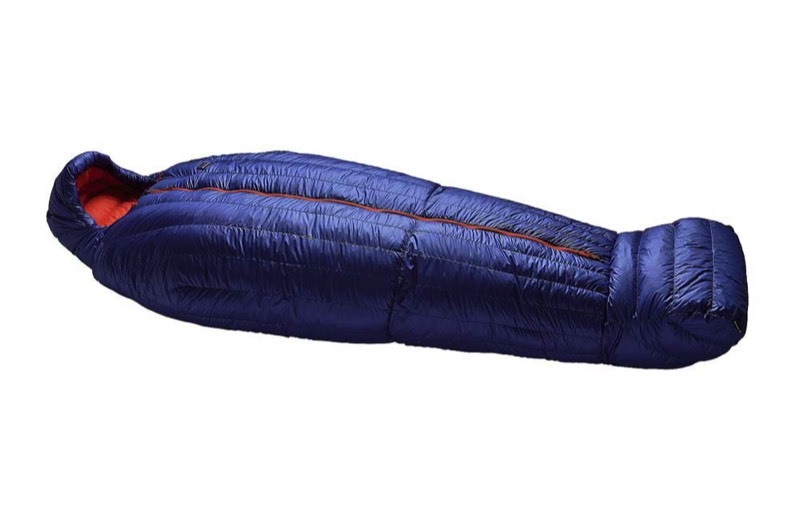 The win here is obvious: you don't have to worry about heat loss like you would with a traditional sleeping bag. And while this benefit might not seem like a big deal to most climbers, anyone venturing onto remote and exposed backcountry and alpine routes will appreciate this feature. In less (and even more) extreme situations, the centre-mounted three-slider zipper can be adjusted so that you can keep your hands outside the bag. This allows you to hold food or a drink, update your social media account or read a book (remember those?) while staying warm and comfortable inside the sleeping bag. With a conventional bag, the zipper would have to be more open allowing for precious heat to escape – not ideal during cold mornings. The final win with this zipper position is that you can roll over on either side and not worry about sleeping on the zipper. One concern that I did have with the centre-mounted zipper was drafts. You see, conventional bags have a draft tube that sits above the side zipper and hangs down ensuring a relatively good seal. The position of the zipper on the Patagonia bag requires double draft tubes to prevent unwanted drafts or any heat escaping. Theoretically, the conventionally constructed bag should be more efficient, but in the field, I did not notice any issues. Perhaps this is one of those situations where controlled laboratory results do not always reflect real-world experience. So, are the new Patagonia bags worth considering? For me, the answer is an unequivocal yes. The bags are impeccably constructed, highlight ethical and sustainable manufacturing processes and the new zipper construction offers real benefits in the field. 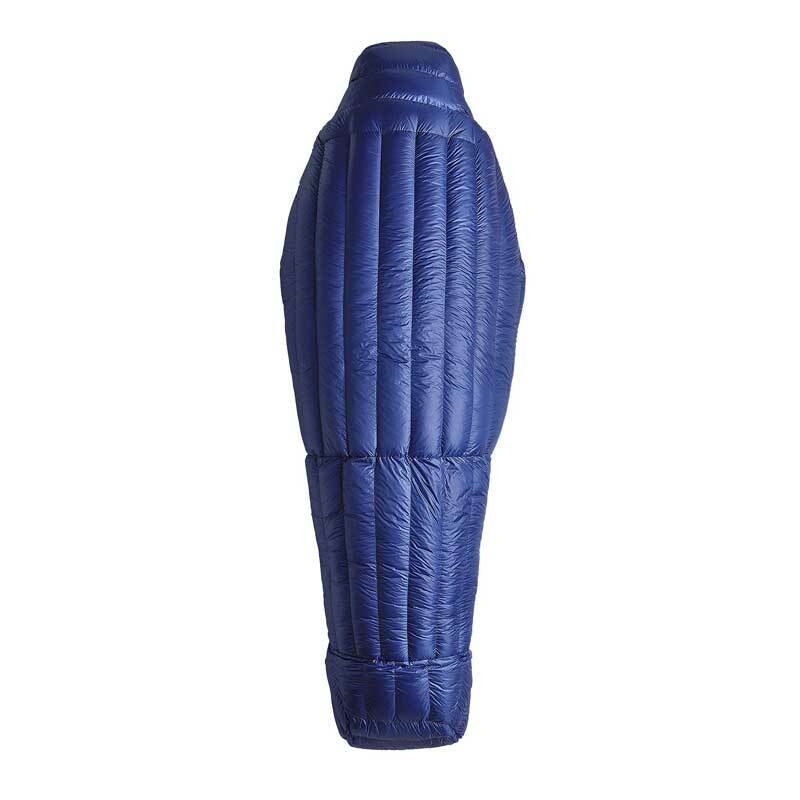 Anyone needing a new sleeping bag should check out these bags.